Amy Alcott was a young phenom when she turned pro, still a teen, in the mid-1970s. But her very productive golf career lasted well into the 1990s, and she won five majors along the way. She also established one of the best-known traditions in women's golf, the Champion's Leap at the ANA Inspiration. Amy Alcott: "You have to be a perfectionist. You have to hate playing badly more than you love playing well. You have to hate losing more than you love winning." 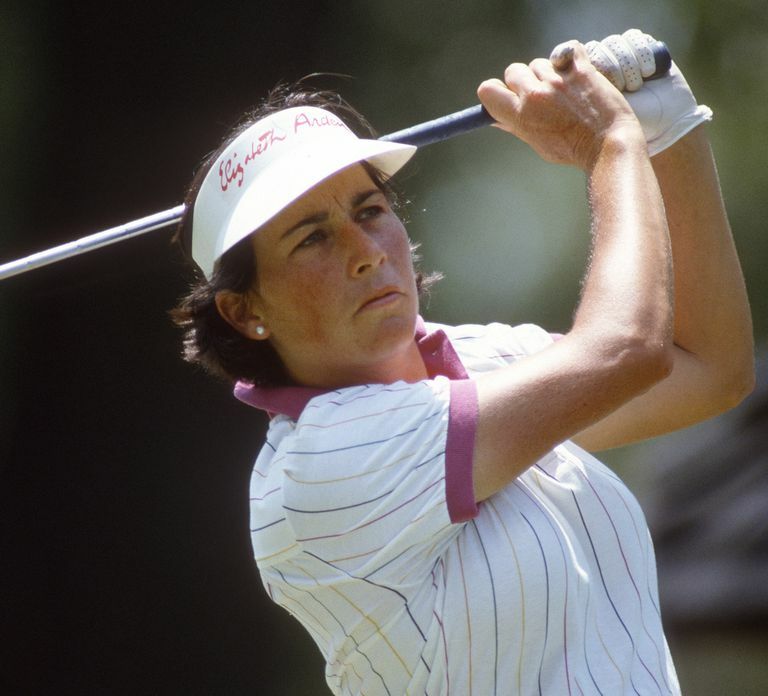 When Amy Alcott won the Nabisco Dinah Shore (now known as the ANA Inspiration) for the second time in 1988, she had a moment of spontaneity that continues to live on: she took a running leap into the greenside pond at No. 18. Alcott was the first player to jump in the lake after winning the Nabisco, something that became a tradition for the winner of that major championship after Alcott did it again in 1991. Why do ANA Inspiration winners jump in the lake? A great irons player who always seemed to fire directly at the pin, Amy Alcott had a short amateur career followed by a long and productive professional career. 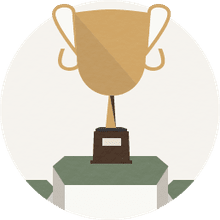 Alcott won the U.S. Girls Junior Amateur in 1973, but by 1975, at age 19, she was ready to turn pro. And she didn't waste any time getting started on the LPGA Tour: Her first victory came in just her third start, at the Orange Blossom Classic. She went on to be named Rookie of the Year. Three times Alcott would win four tournaments in a year: 1979, 1980 and 1984. Her best year was 1980 when, in addition to those four victories, she also finished second five times and was in the Top 10 in 21 out of 28 tournaments played. Alcott's first major championship victory came at the 1979 Peter Jackson Classic (later renamed the du Maurier Classic), and she went on to win one U.S. Women's Open and the Kraft Nabisco Championship three times. In fact, the 1991 Kraft Nabisco Championship was her final victory on the LPGA Tour, and it was at that event that she made what is now called the "Champion's Leap" - the tradition of the winner leaping into the greenside lake to celebrate - for the second time. She first did it in 1988, but the several winners after her didn't continue it. After 1991, the winners all imitated Alcott by jumping into the water. That win was the 29th of her career. At the time, the LPGA Hall of Fame required at least 30 career wins for entry, and Alcott chased that 30th win in vain over the next several years. But in 1999, the LPGA switched to a points-based criteria under which Alcott finally gained admission. She was inducted into the World Golf Hall of Fame in 1999. From 2001-04, the Office Depot Championship Hosted by Amy Alcott was a part of the LPGA Tour. Following the end of her touring days, Alcott started getting into course design and also hosted a satellite radio program. She has written an instructional book and taped an instructional video. She also befriended Phil Mickelson and is occasionally seen at tournaments helping Mickelson work on his game.